Mary explains how to search for property on the internet and provides tips to help you use buying and selling tactics to your advantage and avoid potential traps. The book features useful check lists to take with you to inspections, along with sound, practical advice. 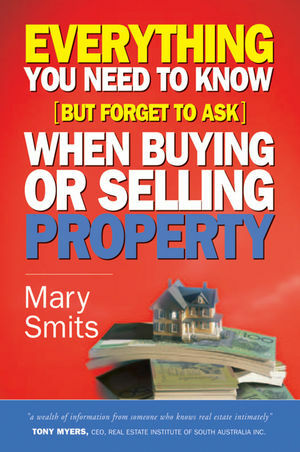 Mary Smits is the author of Everything You Need to Know (But Forget to Ask) When Buying or Selling Property, published by Wiley.